Since antiquity, gears and gear systems have constantly been developed and improved. This continuing process includes the evolution of plastic gears, which started out as a curiosity 60 years ago and today are an industrial mainstay. Found initially in many small applications, plastic gears are now found in a variety of new, larger, and higher–power uses. 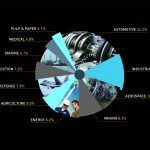 They transfer torque and motion in products as diverse as cars, watches, sewing machines, building controls, and missiles. With all of these gains, the evolution of plastic gearing is far from over. New and more demanding high–precision gears are on the horizon. 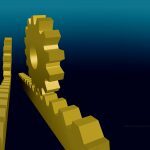 Today, polymer performance and processing techniques have advanced to a point where plastic gears will handle higher–torque applications, previously the domain of their metal counterparts. 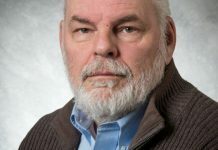 These new design strategies are pushing the boundaries on plastic gear size—including dimensional control for larger, multi–gated, injection–molded gears—structure, and geometry, all of which will require a new team approach. While metal gears handle loads better than comparably sized plastic gears and have less dimensional and property variations with temperature and humidity changes, plastic offers many cost, design, processing, and performance advantages over metal. 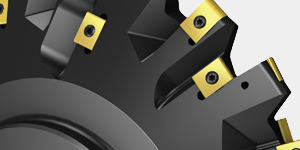 The design freedom inherent in molding plastic allows for more–efficient gear geometries than are possible with metal. Molding can create shapes that are hard to form at a reasonable price in metal, such as internal gears, cluster gears, and worm gears. Plastic gears can have a wider aspect ratio than metal gears, thus increasing their load–bearing capacity and power density. 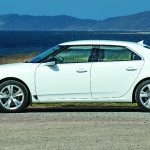 Plastics have also become essential in the ongoing quest for quieter drives, which call for high precision, novel tooth shapes, and lubricious or flexible materials. Gears made of plastic typically permit a 50 to 90 percent cost reduction vs. machined metal gears, especially in large quantities, because they can be made in quantities of two, four, eight, or even 16 at a time—depending on their precision requirements—in about a 30– to 60–second cycle, and they usually require no secondary finishing. 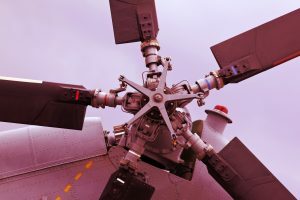 They weigh less than metal gears, and their relative inertness means they can be used in situations that cause metal gears to corrode or degrade, such as in water meters and chemical plant controls. Plastic gears are more forgiving than those made of metal because plastic is more compliant. Not only do they deflect easier, which allows them to absorb impact loads and better distribute localized loads caused by misalignment, they have lower hardness that helps mask certain tooth errors. The inherent lubricity of many plastics makes them ideal for computer printers, toys, and other low–load situations where external lubricants are excluded. In addition to use in dry gears, plastics can be lubricated by grease or oil. 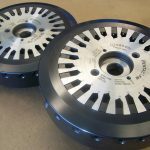 The design and development of precision plastic gear transmissions—including shafts, bushings, bearings, and the housing—requires a significant engineering effort to ensure that all of the parts successfully work together within critical manufacturing tolerances and operating conditions. • The gear engineer works with all members of the team to develop gear tooth geometry and assembly specifications that will produce gears that function satisfactorily under all operating conditions and across the entire range of manufacturing tolerances and environmental influences. • Plastics engineers help select the appropriate plastic for the application and environment, give basic plastic part design guidelines, and provide other data. They can assist in preliminary or detailed design, prototype testing, fabrication, and pre–production evaluations. • Material suppliers provide the plastics engineer with more detailed/specific data, design guidelines, and material selection. They also provide services, from basic print reviews to sophisticated engineering analyses and training that helps customers better understand their materials and how to use them efficiently. 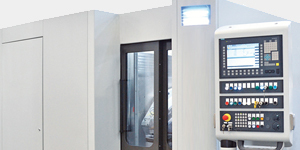 • Tool builders and molders ensure that the parts can be fabricated precisely and cost–effectively. The molder, for instance, helps establish the appropriate process conditions that provide consistent dimensions and optimal properties for the specific plastic. • Manufacturing engineers evaluate the overall design so that the transmission can be readily assembled. 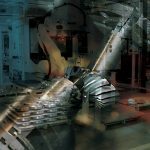 They determine, for example, whether or not assembly loads call for support tabs, and how to orient parts emerging from fabrication. Attending to such details improves the efficiency of the entire process. This team is the foundation of a precision plastic gear transmission program. 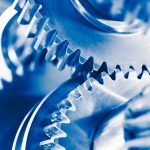 By working together at the early stages of design, the plastic gear transmission development team can evaluate all aspects of different solutions including performance, manufacturing, assembly, and total costs. Their input can eliminate many production missteps and the extra cost and time lost in reworking a design that does not process well. It should be kept intact until the design effort is completed, so that the knowledge gained early in design is not lost later. To cope with these engineering hurdles and other factors, the plastic gear transmission development team needs to follow a development cycle that starts from the broadest possible context. It should first evaluate the needs of the system, rather than those of individual parts or components. Operating and performance requirements, materials selection, gear design, tool design, and molding processes are all important in the design and development of precision plastic gear transmissions. Each aspect should be repeatedly evaluated as the gears and associated components evolve from concept to production. All areas influence each other, and they should be worked on concurrently. The plastic gear transmission development effort begins by identifying the customer’s operating requirements; the prime mover (torque, speed, inertia, and natural frequency), the load or loads (torque, speed, inertia, and natural frequency), the duty cycle, life expectancy, physical limits, ratio, precision, efficiency, lubrication, operating environment, test requirements, and any other considerations. 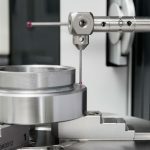 These defined operating parameters will lead the team to overall system considerations, from weight and size requirements, gear arrangements, and shaft, bearing, and housing requirements. 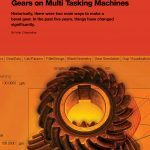 Decisions on the specific gears will evolve from these concepts, especially preliminary decisions on materials, sizes, and geometries that are based on simple load analysis and tooling and processing considerations. The initial materials are selected based on how well the plastics match the application’s operating environment, meet the appropriate property mix, and interact with other components. To get a product to market rapidly, a manufacturer may rush the conceptual design and select a specific design prematurely. This can lead to poor performance and actually extend the development cycle by forcing design readjustments to meet system requirements later on. As the conceptual design stage draws to a close, the team evaluates each gear and associated part’s production tolerances, their contribution to the overall system, and alternatives to improve the system and reduce costs. These concepts determine potential materials and fabrication processes. These designs then undergo detailed analysis, using computer analytical models for tooth geometry evaluation and load analysis. This includes determining the effective operating center distance range by factoring in all possible tolerances and environmental influences on part dimensions, as well as evaluating each gear mesh at extreme operating conditions: tight mesh, maximum material; open mesh, minimum material; and everything in between, including the combination of worst load condition and minimal material properties. Once completed, and the gears and components are found to work, the gear engineer will write the gear specifications to define the ranges (toleranced dimensions) for their shape and size and cite the manufacturing tolerances for the other transmission components and operating conditions that affect dimensions and material properties. 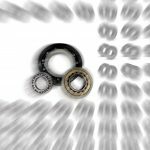 Making certain the resulting design intent is specified clearly, accurately, and precisely to the gear manufacturer is essential to ensuring performance, cost, and delivery requirements are met. The initial design and engineering analyzes a theoretical part. Prototyping will evaluate manufacturing capabilities and demonstrate how the plastic precision gear performs in its intended application. The prototype enables the plastic gear transmission development team to respond to the concept. 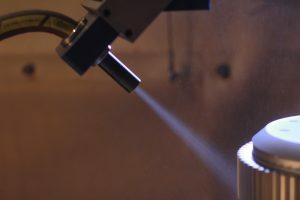 The prototype also highlights design and assembly problems, and it allows testing of essential properties in a setting as close to production as possible. The higher the precision requirements, the more expensive the prototype will be. Prototypes for high–precision gears are not only needed to evaluate part and material performance, but also to evaluate manufacturing capabilities with respect to dimensional control: i.e., tolerances. The most exact prototyping method duplicates the production part using the same mold material and manufacturing process that will be employed in the finished part. To ensure precision, the prototype should be developed following the materials supplier’s molding recommendations for optimal properties and to establish a stable processing window that gives consistent dimensions. Then, for accuracy, the prototype tool needs to be re–cut to accommodate shrinkage. Initially cutting molds “steel safe”—undersized cavities and oversized cores—and using inserts helps facilitate this. The prototype must be measured thoroughly before testing to ensure that it represents what was designed. 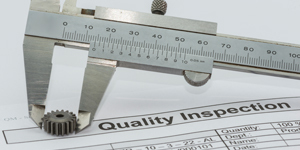 During toll development, inspection and verification of the gear geometry is best done using elemental inspection that checks for profile, lead, pitch, and runout errors; general inspection techniques can be used to check for outside radius, root radius, and tooth thickness; and, during production, using composite inspection, such as a double–flank roll checker, for quality control will measure total composite, tooth–to–tooth, and runout errors and detect when the manufacturing process is out of control. It cannot be overemphasized how important it is to measure and verify the dimensions of prototypes before testing to ensure what is being tested actually represents what was designed. Otherwise, information gained from testing has no meaning and provides no direction for redesign efforts. 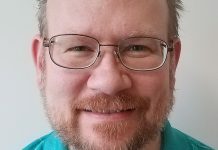 Performance requirements should guide prototype testing. 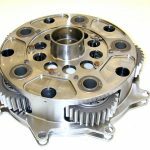 In testing prototypes, the plastic gear transmission development team should use the original design criteria, giving the greatest weight to the most important factors that represent end–use conditions. Caution should be used for continuously running, accelerated testing for applications that will only be intermittently operated. 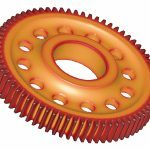 Continuously running plastic gears can generate significant frictional heat, and if not allowed to cool there will be no thermal or dimensional recovery. External cooling such as a fan is often used to help alleviate this. Prototype testing leads to design refinements, final materials selection, and the specification of production details. All the knowledge collected during the prototype phase comes into play in production. 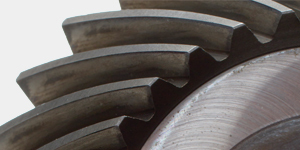 By following the plastic gear transmission development cycle, the gear team should use their knowledge developed during the prototype phase and minimize mold and processing deviations and establish a stable process that maximizes material properties and gives consistent dimensions and correct the tolling for accuracy. Each step is now influencing the other like never before. By developing a team and following a process, a precision plastic gear transmission can successfully evolve from concept to production thanks to the repeated evaluation of materials selection, part design, tool design, and production processes. 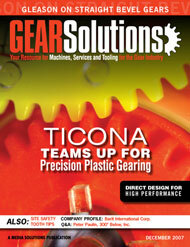 Many factors come into play when selecting gear plastics. 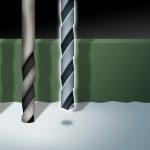 A polymer’s stiffness must withstand all the gear forces but at the same time could allow some gear–tooth deflection so that teeth run quieter. Polymers also need enough fatigue strength to handle cyclical loading and unloading of the gear teeth. They must also have sufficient tensile strength to withstand static loads and impact strength for shock loads. And good creep resistance, coupled with dimensional stability, will help the polymer maintain gear tooth geometry and mesh alignment. 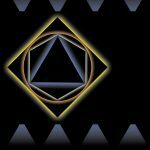 Dimensional stability, however, is a complex factor. Polymers that absorb water or chemicals will have more dimensional variation. Temperature changes will also have an effect on part dimensions. If molded badly, geometry can change as the gear cools after molding and be deformed by the working environment and friction. It’s also important to note how resins function with other plastics or metals in the assembly. Mating dissimilar polymers in a gear set often creates drives that run smoother, quieter, cooler, and with less wear. For tight–tolerance gear sets it’s often advantageous to specify the same plastic for adjacent gears if moisture and temperature will likely change during service. In some cases, designers might also specify the same material for the gear housing. The most common thermoplastic gear materials are acetal, polyester, and nylon. They create strong and precise gears with good fatigue and wear resistance. The range of plastics available for gears helps designers cope with the temperature fluctuations gear sets will see. Acetal copolymer works well to 212°F (100°C), polybutylene terephthalate (PBT) can serve at 302°F (150°C), nylon 6/6’s limit is 347°F (175°C), and PPS stands up well at 392°F (200°C). High–temperature nylons and polyphthalamide have somewhat lower thermal limits than PPS, while liquid–crystal polymers (LCPs), imides, and polyetheretherketones have higher limits. Acetal is widely used in gears because of its dimensional stability, fatigue resistance, and ability to withstand many chemicals over a wide thermal range. It’s highly lubricious and moves smoothly over both metals and plastics. But even with 40 service years as a gear material, acetal continues to evolve. PBT, a polyester, works well in mixed gear sets having gears made from other plastics and metals. It molds with extremely smooth surfaces and is often used when reinforced with glass and/or mineral in housings. Nylons offer exceptional toughness and wear little against other plastics and metals. 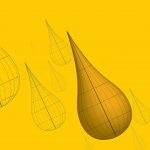 Their tendency to absorb water and many lubricants can lead to excessive dimensional change, so designers usually turn to other polymers for precision gears. Reinforced nylons often serve in worm gears and housings. PPS is stiff and dimensionally stable. It sports good fatigue life, resists chemicals, and is often the top choice for use in drives running in hot, corrosive environments. In automobiles PPS gears go into electronic throttle controls, turbo actuators and their housings, and lubricant circulating pumps for transaxles and transmissions. LCPs work well in watch gears and other small, precision, and lightly–loaded gears. LCPs are dimensionally stable to 428°F (220°C) and resist most chemicals. They flow exceptionally well to fill intricate, thin–walled parts with great accuracy. And they have low shrinkage during molding and yield little flash. Polycarbonate, along with other amorphous plastics, have had limited success in gears. They are not commonly specified for gears because of their low chemical and fatigue resistance and poor lubricity. Commodity resins—such as acrylonitrile butadiene styrene (ABS) and low–density polyethylene (LDPE)—lack chemical, thermal, and creep resistance and aren’t dimensionally stable. Their use is generally restricted to basic, low–load, or low–speed gears. Copolyester elastomers with 10 to 250–kpsi moduli serve in slow and low–load gears. Grades with hardness values of 25 to 30 Shore D work well in two–shot molding and give gears good noise and vibration dampening. In one case, polyester elastomer created flexible teeth in planetary gears that were virtually unaffected by misalignments and manufacturing errors. This made them quieter at high speed and low load. 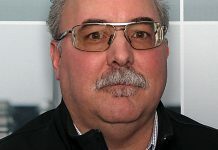 Fibers and fillers dramatically alter gear–resin properties. They can serve as a way to fine tune mechanical properties. Acetal copolymer chemically coupled with 25 percent short 0.08–inches (2 mm) glass fibers can double base resin tensile strength and triple its flexural modulus. Adding glass fibers longer than 0.4 inches (10 mm) has an even more profound effect on polymer strength, stiffness, creep and impact resistance, dimensional stability, and toughness. Long–fiber–reinforced plastics can have fiber loadings of up to 60 percent or higher in some special cases. This gives housings and large gears greater strength and better dimensional stability. And substituting carbon or aramid fibers for glass improves gear wear. Long–fiber reinforced plastics also yield better surface quality because fewer fiber ends break the surface, as is often the case with short–fiber reinforced plastics. 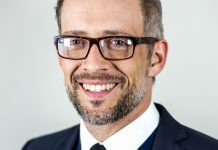 The boost in performance gleaned from long–fiber reinforcement can let designers specify less costly commodity resins such as polypropylene (PP). Long–fiber reinforced PP housings are often stronger and more dimensionally sound than those made from short–fiber reinforced nylon. 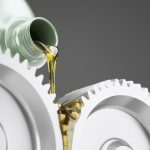 The inherent lubricity of many gear plastics—along with the variety of internal lubricants such as silicone oil or PTFE—lets them serve in computer printers and toys where external lubricants such as greases or oil are unwelcome. Their corrosion resistance also allows them to be used in wet environments where metals would corrode. Designers continue to take lubricated and unlubricated plastic gears to new levels. 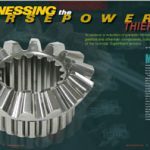 Not only are designers creating ever larger, more–powerful, and more–precise gears, they are finding ways to shrink gearboxes without losing power.